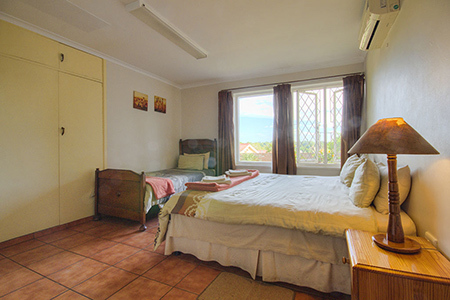 We have 7 double rooms. All have a fridge, microwave, aircon and TV with 9 channels (5 DSTV). 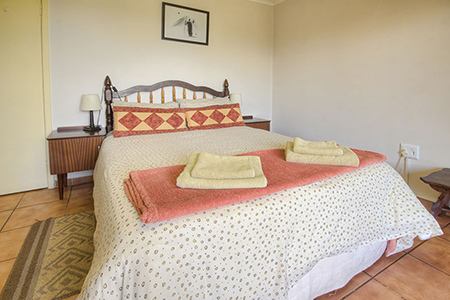 A Tea/Coffee tray is supplied in each room. 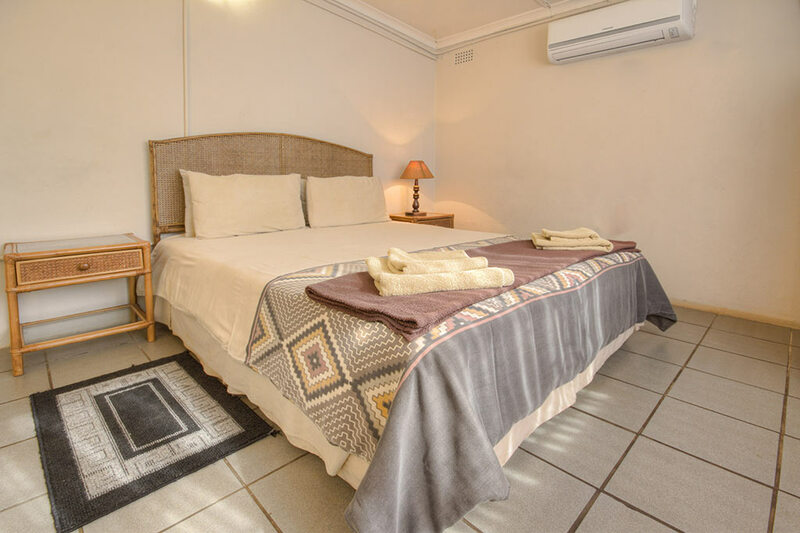 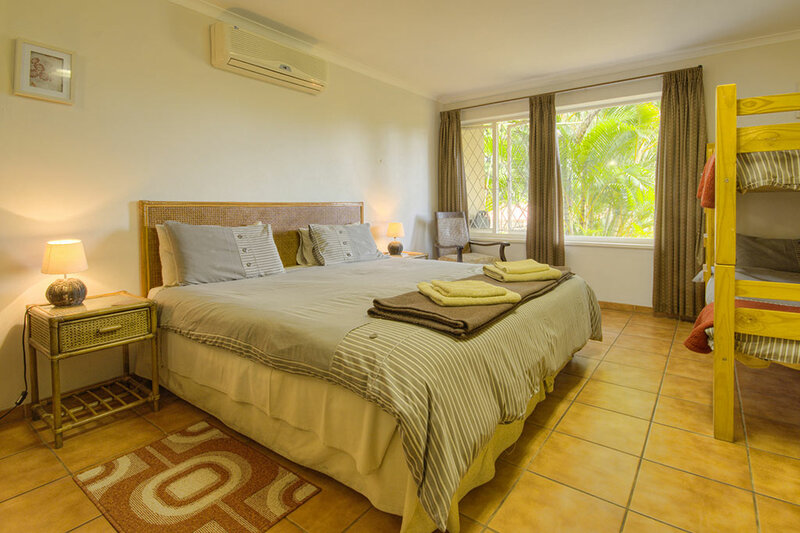 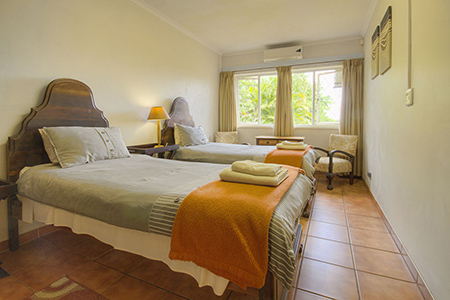 Six of the rooms have their own outside access and all rooms have ensuite bathrooms. Rooms 2 & 3 and 6 & 7 have interleading doors making them ideal for family accommodation. 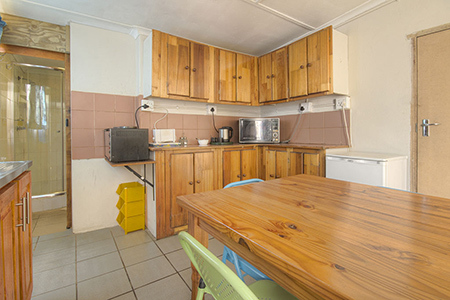 Room 7 is equipped with a kitchen unit for self catering purposes. This is a strictly no smoking establishment. We have secure parking facilities with an automated gate which is closed at night. Our rates are competitive. 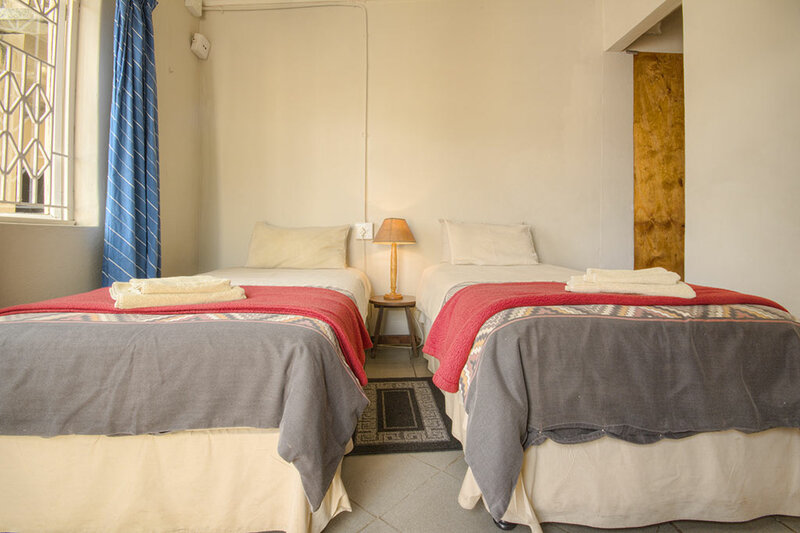 Children under 10 sharing with parents are free and only pay R30 for breakfast. 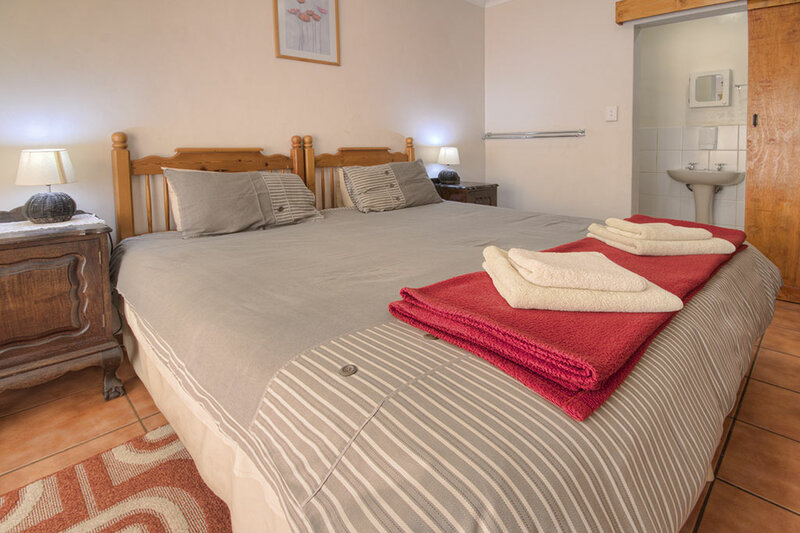 We have special weekend rates for guests spending either Friday & Saturday or Saturday & Sunday night with us.